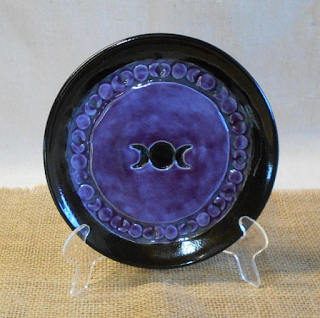 Pansy purple and black triple moon ritual offering plate, hand-thrown, food safe glazes, six inches wide (13 cm), $25 USD (plus shipping and handling). Buy it now to get it in time for Xmas. Pansy purple and black triple moon ritual offering plate.